Vests have become a part of your life and you must have been wearing it regularly from years. As season changes our dressing also changes and we switch on to new type of dress leaving behind the old loved ones. 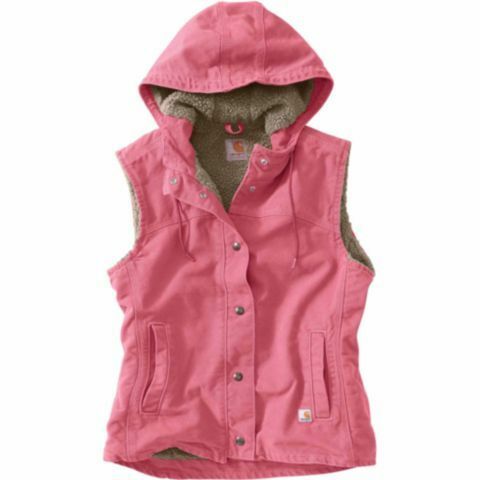 But now you don’t have to worry there are many vest styles, fabric and designs which you can wear in different seasons. Vests are worn by both men and women. Vest for women are wonderful and is too comfortable. You can wear them as formal wear, party wear or for outing. Ladies vests are available in various designs and some of your lovable styles are here. Denim vest are for denim lovers. 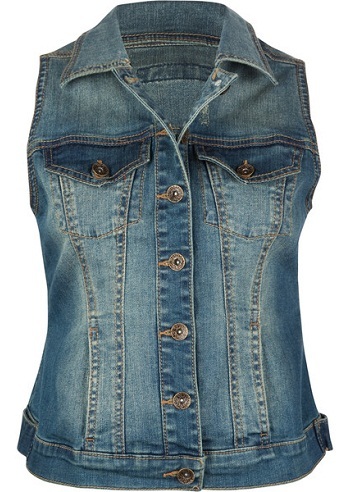 Ladies who want a perfect match for their denim jeans they can wear this vest for the stunning look. This vest is sleeveless and has front buttons in place of zip. You can even wear black or white t-shirts to give your vest a new look. Fur are so soft and gives you warm. If you don’t want to miss your vest style in winters then you can wear this fur vest. 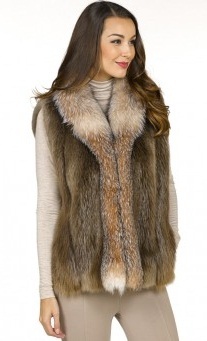 Fur vest are available in different types of fur like rabbit fur, fox fur, beaver fur etc. An additional hanging or cutting styles look good on any dress. Fringes on vest make the look cool whether the fringes are small or long. This brown vest has long fringes which look beautiful on white t-shirt. You can move out with look to parties or outing with friends. Fishing on vacations gives you immense pleasure but you need to carry lots of things to do fishing. This fishing vest is helpful for you while fishing. It has many pockets in which you can keep your things. It has a buckle to close it. In chilling winters you even need to cover your head apart from the body. 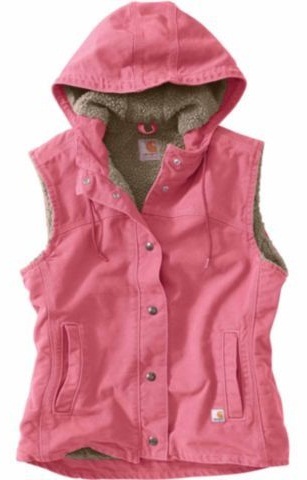 This hooded vest is perfect for winters. Wearing this with style you will look smart even in winters while covering yourself. 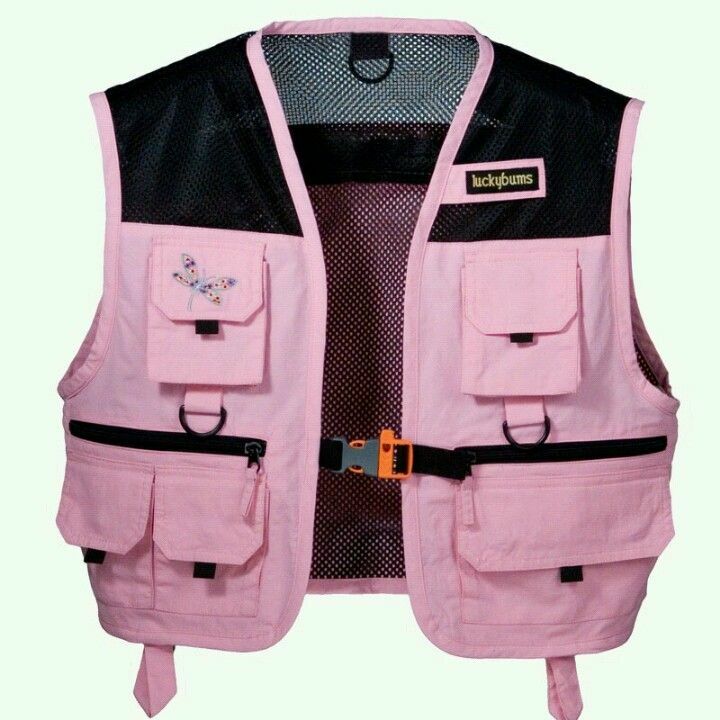 Wearing white t-shirt inside with this pink vest will beauty your look. You can pair brown boots with it to reach a level higher in your looks. In summers you always seek for comfortable dress. In this high neck vest top ladies get much comfort what they actually need. Apart from being comfy it is even stylish. It has polka dots design for which ladies are crazy. Pair this vest with leggings or jeans to look glamorous. 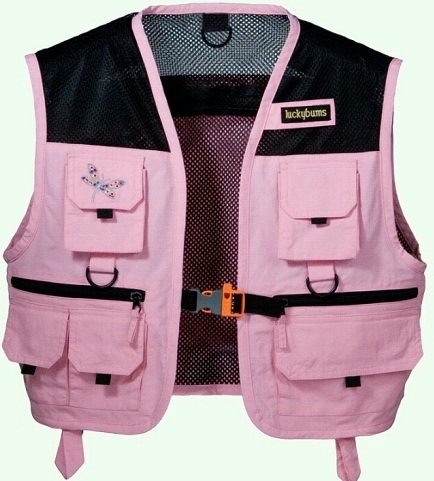 Moving out for vacations and want to do some hunting but don’t have a hunting vest? Don’t drop your idea, here is a hunting vest which will not only give you looks of hunters but will also give space to keep the necessary thing which you want keep while hunting. The brown and orange colour combination gives a dull look which is good to move in forest. You can get the warm feeling from the knitted vest. 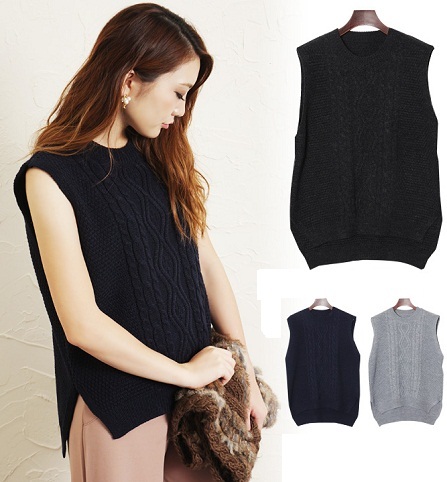 Knitted vest can be of woolen fabric or cool fabrics. You can choose according to the season. The knitted vest tops have unique designs which are one of its kinds. You can wear the knitted vest top on long skirt, leggings and jeans. The knitted vests are of one colour and no multiple colours can be seen in a vest. 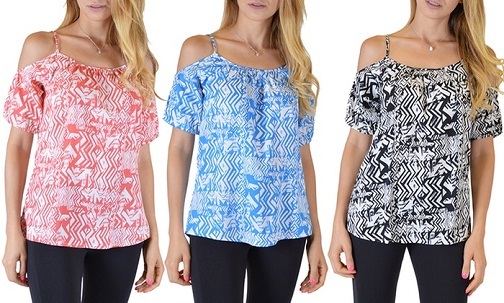 They have different design patterns and styles to give you a simple yet stylish look. Dons wear long overcoat but you can leave this look behind and make your own lady don look with the long vest. They are different from overcoat. They look very light compared to overcoat. 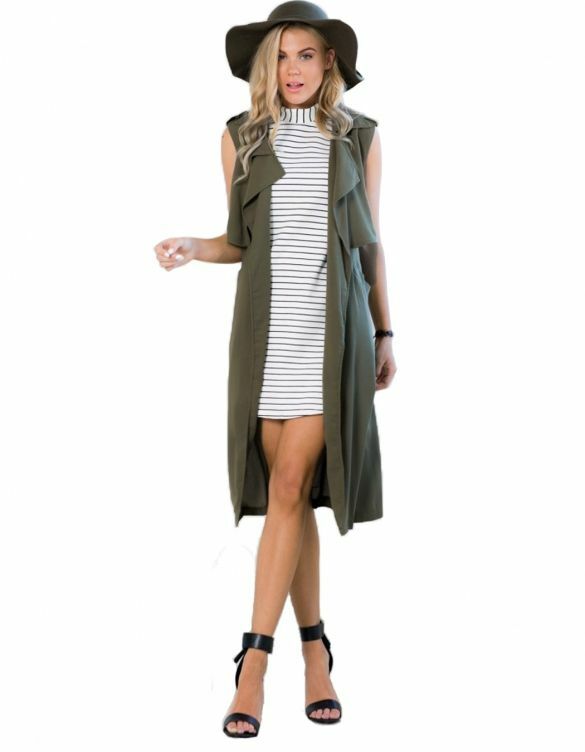 Numerous styles of ladies long vest are available which you can wear on jeans or tunic to get the bold look enough to shoot anyone on the spot. Leather lovers don’t get dishearten. You can also wear vest of your favourite leather. Leather vest are body fitting gives a bold look. If you really like loose and comfy vest which you can wear the whole day then this vest is best for you. You can wear this vest at home or even outside with designer neck part. 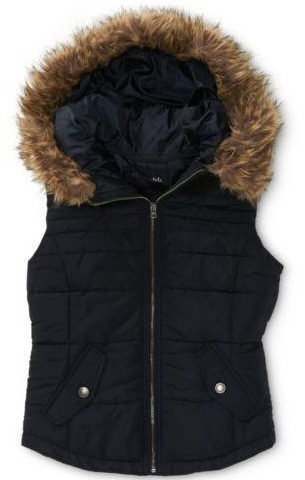 Add volume to your body with this puffed vest. They are designed for winters and have fur on the edges of cap to look like Eskimos. 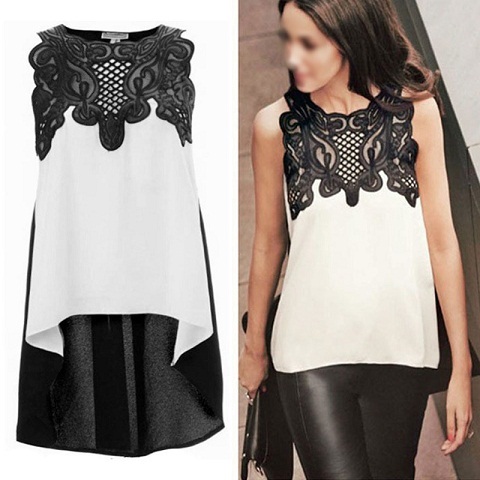 This style of vest is perfect for thin ladies. Women have to workout hard at gym to maintain their figure. We have so many types of gym vest but this gym vest India likes. Short vest are a bit open but this gym vest is liked by Indian women as it is full length and comfortable while doing workout. You can even wear it while jogging in park as it has beautiful prints which make the vest wearable outside. Ladies cotton vest can be worn on both Indian and western wear. You can wear it on jeans, skirts and even on kurtis. This gives a very bold and beautiful look. 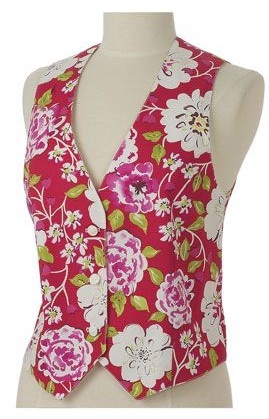 The floral print on this vest makes it look pretty. In a party wearing jackets and sweaters depresses the charm of your outfit. But with this ladies thermal vest you don’t have to face such problem. 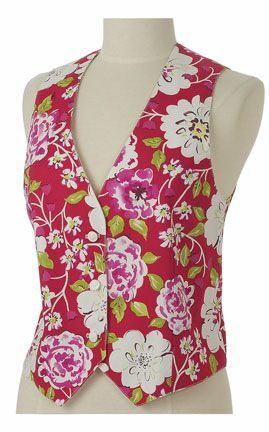 As it is warm and thin you can wear this vest beneath you dress and flaunt your dress with confidence. 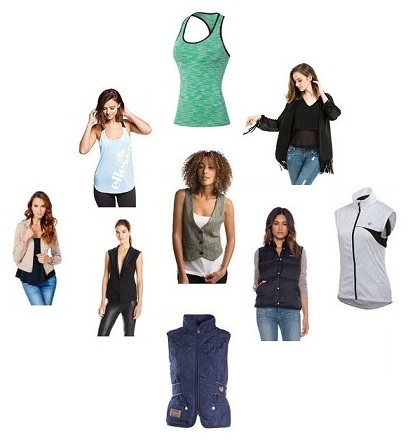 Vests are extremely comfortable and you can wear them anywhere and in any season accordingly. 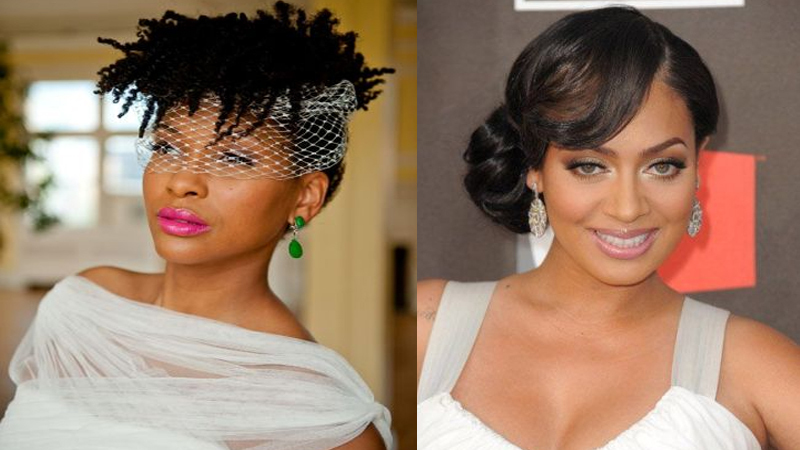 They give you a super new look for every party and outing. Vest are gaining high popularity and trending nowadays. You can also enter in this fashion world with these styles of vest. 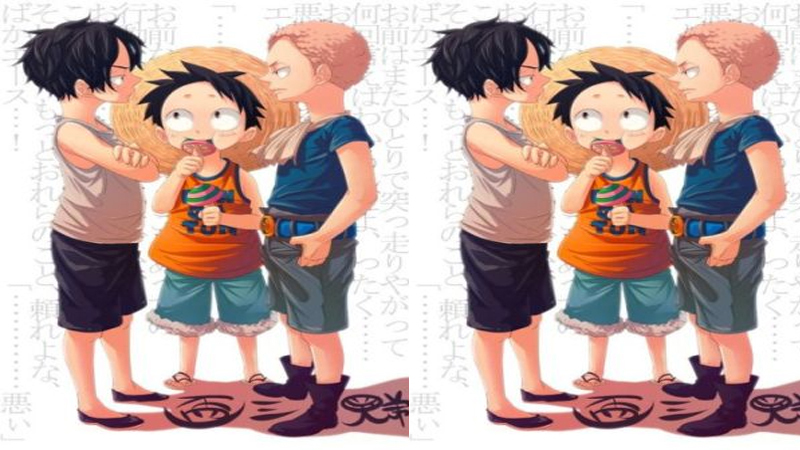 How to Repair a Friendship After a Fight?